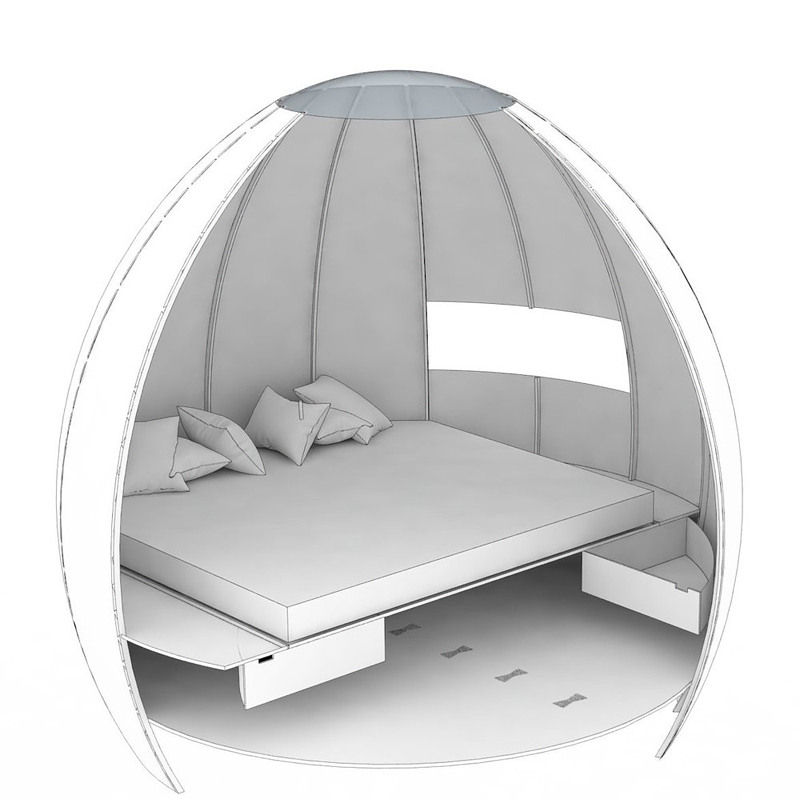 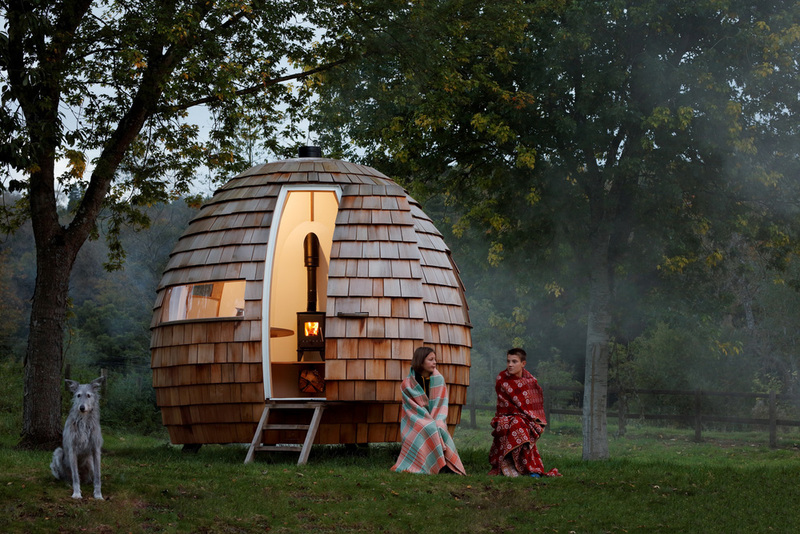 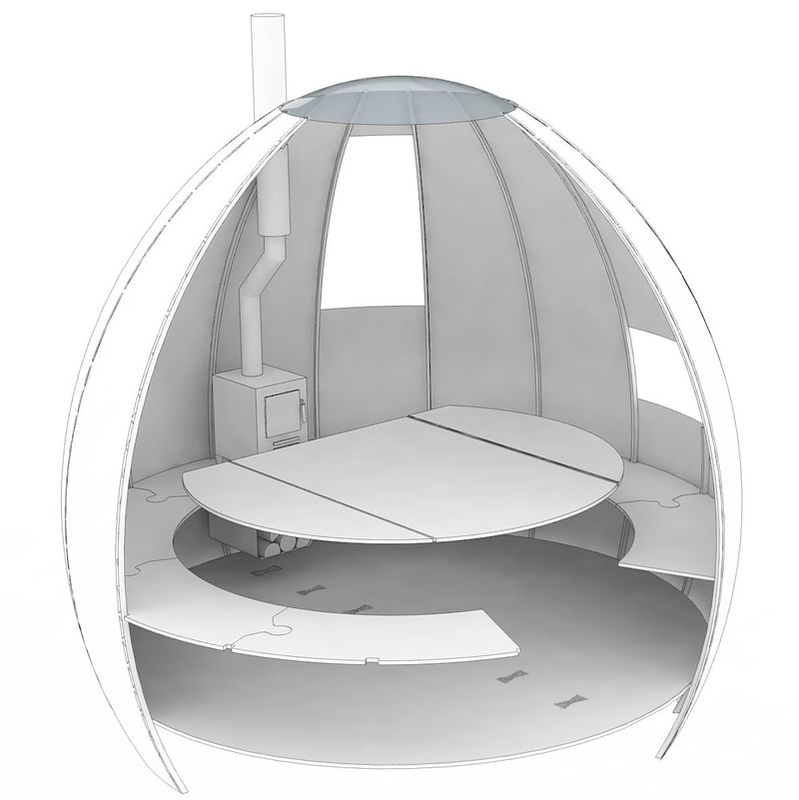 The “Escape Pod” from UK-based design firm Podmakers, is a spherical hideout that lets you get away from it all. 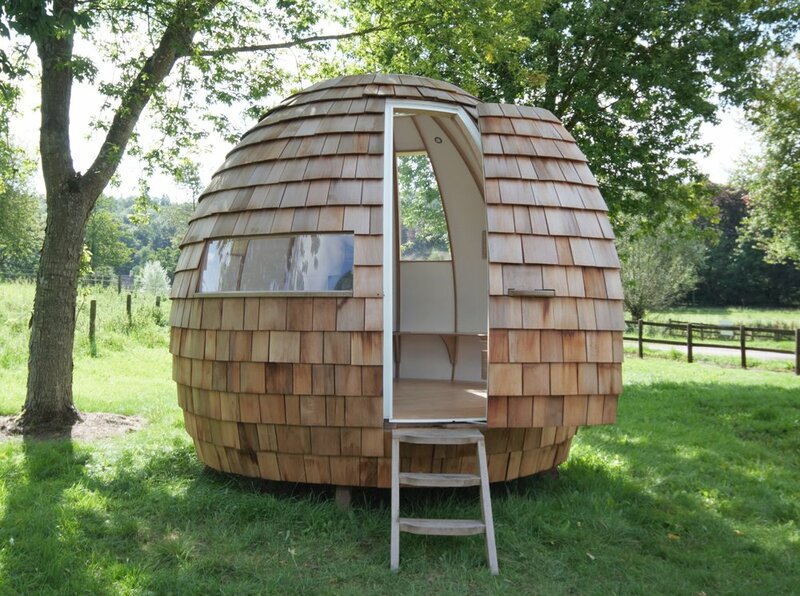 This unique space is a versatile backyard dwelling cab be used as a garden retreat for workers, visitors, a music or writer´s studio, or anyone in need of a little timeout. 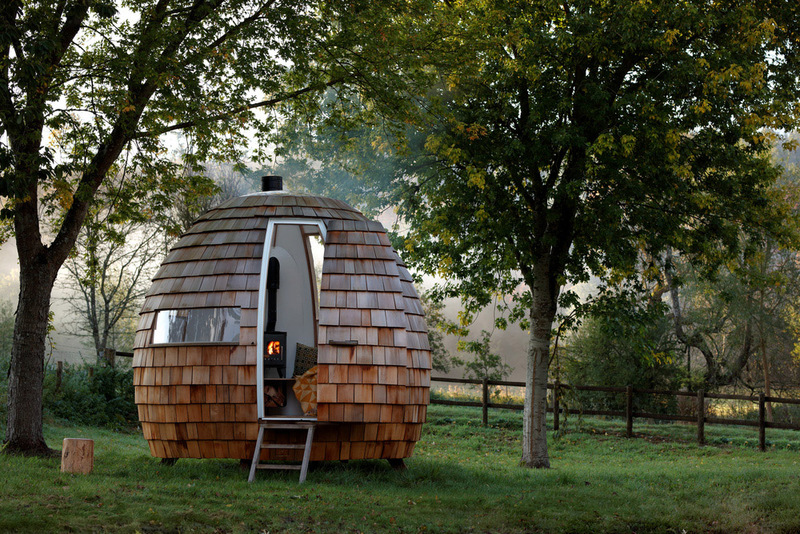 Crafted from a mix of birch plywood and European oak, the 75-square-foot prefabricated unit can be easily customised depending on what the owner wants from distinct window designs, heating source, to window placement and built-in furniture. 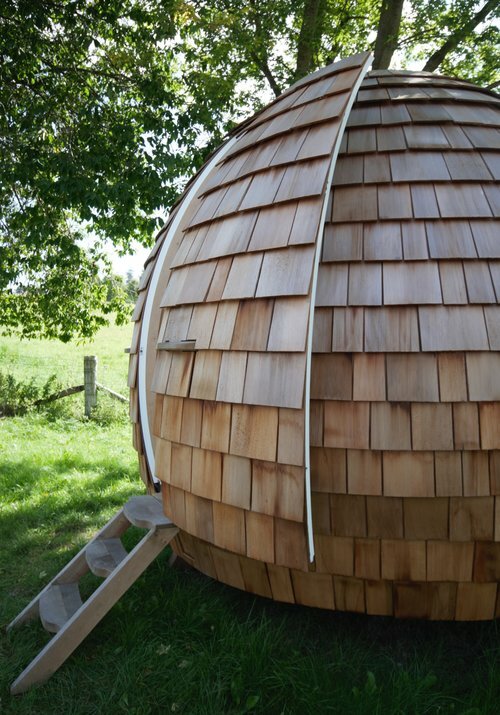 To add to its uniqueness, the entrance is through a unique aircraft-style plug door with a wooden hinge. 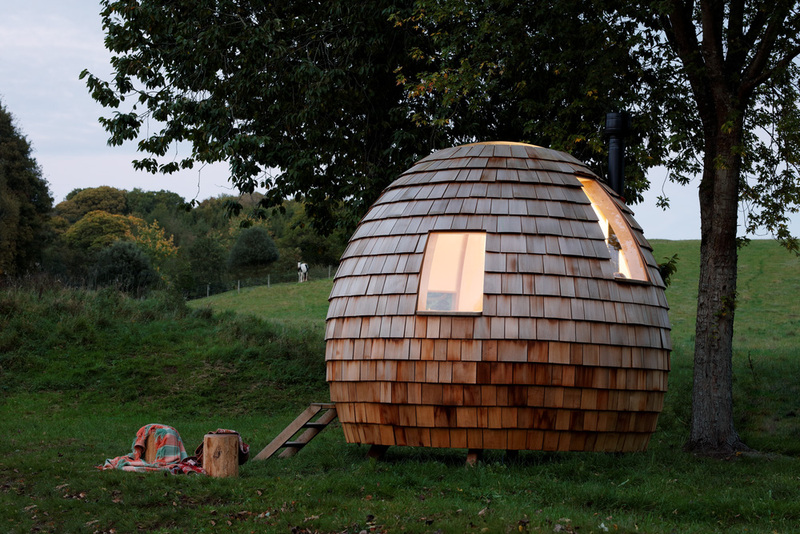 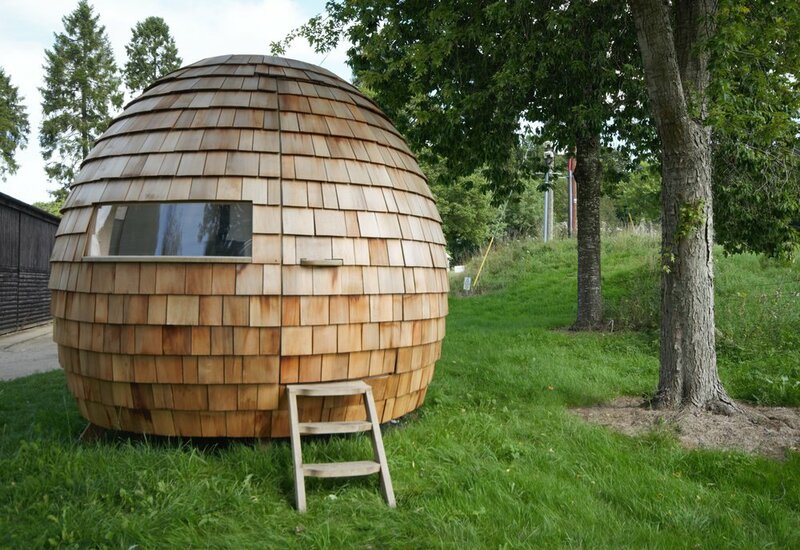 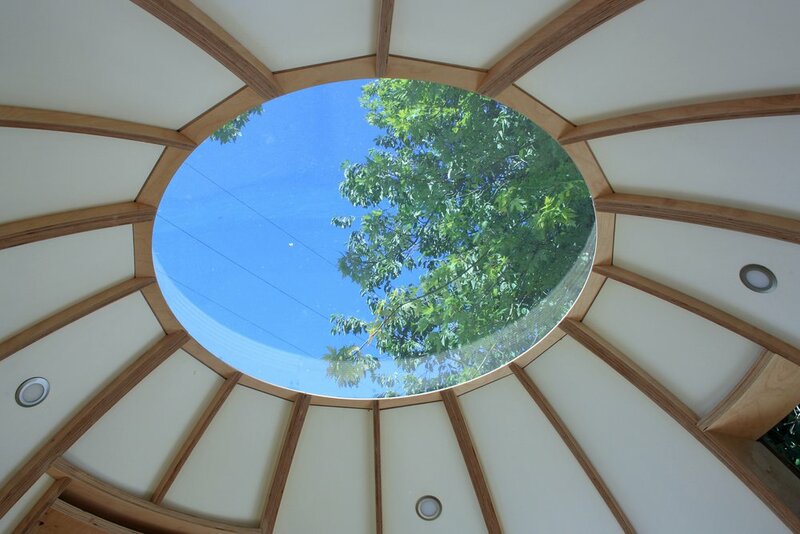 Don’t forget to check other great examples of round houses: Podzook and Skydome.